The story is told of a Seventy-eight-year-old man, Bill Fulton of Baker City, Oregon. He says he can remember the good, old days. Actually, Fulton finds it a bit easier to remember those days. That's because Melanie Trindle, the secretary of Baker Middle School, recently returned the wallet Fulton lost -- in 1946. Fulton's wallet, along with other assorted items that had disappeared over the years, was discovered when workers detached gymnasium bleachers from the wall of the old school. Those bleachers had been there since 1936. Fulton's wallet found its way behind them about ten years later. Inside the mini-time capsule, Fulton found the address where he had lived as a teen, his Social Security card, his bicycle card, and a hodgepodge of other items designed to jolt a man's memory. Now the amazing thing is this: the return of Fulton's wallet has made a difference for the man. But rather than focusing on what is inside his wallet, Fulton has been thinking about his life, his time in the Korean War, his military service in Berlin, and the years he spent working at a local lumber yard. Fulton summarized his feelings this way: "Where did all the time go? It's hard to believe that the times have gone so fast." As I look back on my life I have to agree. I also agree with the today's verse. This day, every day, is a gift from God. Each day can be used or abused; it can be squandered or appreciated. As far as the Lord is concerned: He prefers we rejoice and be glad for the time He has given us. Not only does the Lord want it, He has done something to assure it. Jesus came into this world to seek and save the lost and to bring light to those in darkness. He lived, died, and rose to save us from our sins, to assure us of eternal life, and to give us an abundant life. With all those blessings coming together, today let us rejoice and be glad in it. Dear Lord, You gave Your days so that our days may be blessed, our life be abundant, and our eternity a joy. Thank You for Your sacrifice, today, and every day, we will rejoice and be glad in it. In Jesus’ Name, Amen. 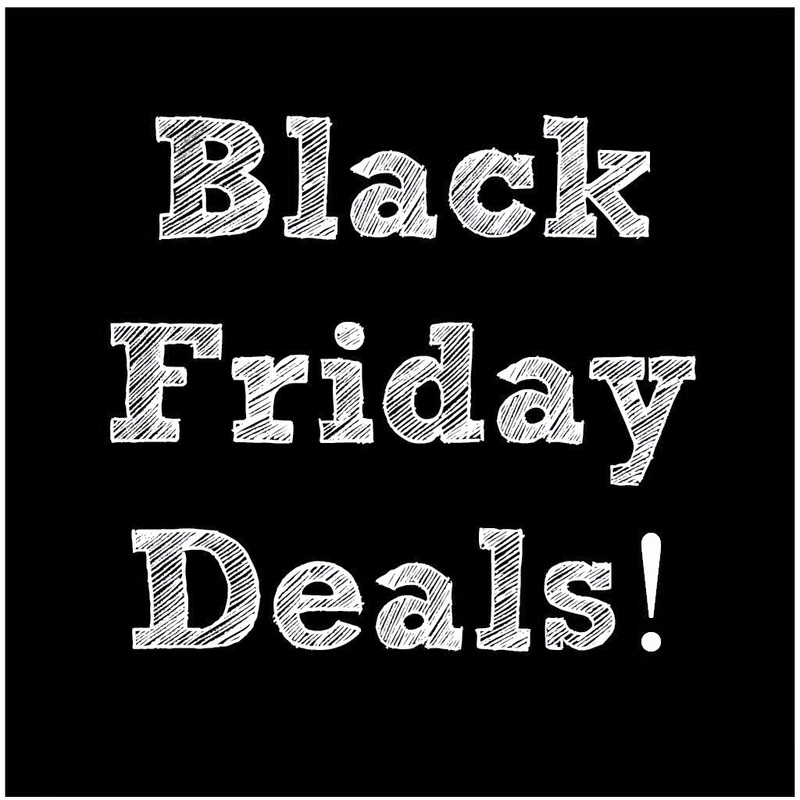 Today was called “Black Friday” The last wee we kept hearing the term “Black Friday” screaming from the TV, radio and newspapers. The day after Thanksgiving begins the unofficial “Christmas shopping season,” the time of year when retailers move from operating “in the red” (at a loss) to operating “in the black” (making a profit). Stores offer crazy low prices and crazy deals to bring customers into their store, hoping that they will in turn spend a lot of money for gifts. The debt accumulated all year is finally paid. Each year with all the talk about “Black Friday” I can’t help but think of another “Black Friday”, a day when the greatest price was paid for the greatest gift ever given. Over 2000 years ago, an innocent man gave His life so that others might live. Jesus, God the Son, left His heavenly home, to be born into an ordinary family and live an ordinary life in an ordinary town, until He began His extra-ordinary ministry on earth. For 3 years, He healed the hurting, taught those who would listen, and preached the truth to all. The conclusion of His time on earth was paying the price for the sins of the entire world, past, present and future, and providing the gift of eternal life to any who receive it. In a word, He paid the debt that we owe, a debt we were powerless to pay. 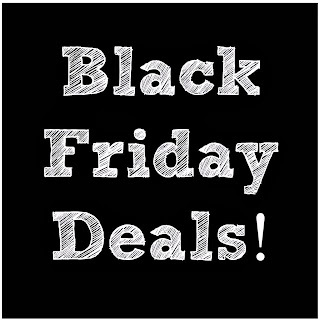 Dear Lord, we thank You for that “Black Friday” many years ago. Thank You for dying on the cross so that we may have eternal life. In Jesus’ Name, Amen. 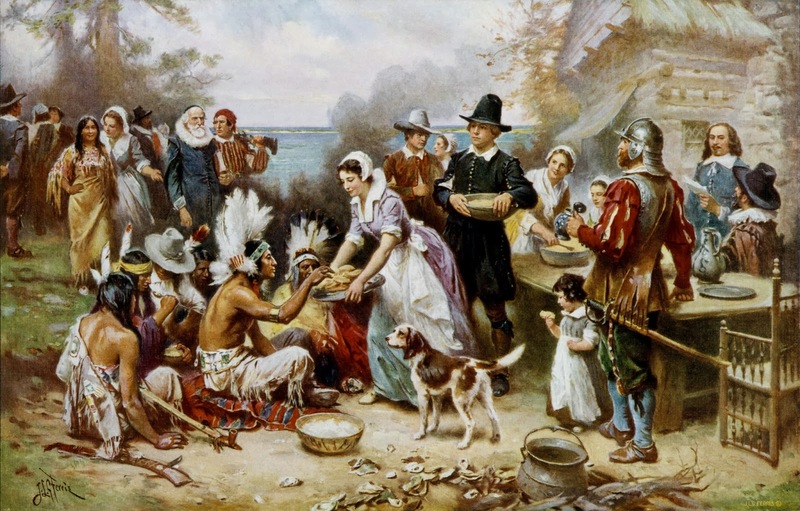 It is believed that the first Thanksgiving celebration took place in 1621. This feast was attended by both Pilgrims and Indians who joined together to thank God for their bountiful harvest of the previous year. 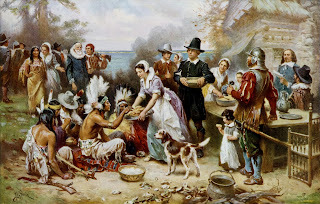 This celebration was continued by the first American colonies, and later by the United States, as a time of thanksgiving for the blessings that God had bestowed upon the American people. There can be no doubt, historically, Thanksgiving is a day set aside for giving thanks to God Almighty for His many blessings He has given to us. This Thanksgiving Day let us be sure to verbally explain to those around us the wonderful history behind the celebration. Also, let us be sure that we all have a true thankful attitude towards our God for all His manifold gifts of grace He has given to each of us. We as Christians should treat every day as Thanksgiving. Dear Lord, we thank You for all You do for us. Help us not just be thankful on Thanksgiving day. Give us a thankful heart. In Jesus’ Name, Amen. How Will You Face the End? This story makes me wonder. What will others discover about us after our deaths? And more importantly, how will we be welcomed in heaven? Do we have any dark secrets? Do we trust our Heavenly Father in everything we do? Do we savor and hunger for time with our Heavenly Father? Do we reach out to the ones Jesus valued highly enough to die for? Where are our priorities? Dear Lord, help us live our life in a way that brings honor to You. Help us be ready for Your return. In Jesus’ Name, Amen. 1 I urge, then, first of all, that petitions, prayers, intercession and thanksgiving be made for all people— 2 for kings and all those in authority, that we may live peaceful and quiet lives in all godliness and holiness. 3 This is good, and pleases God our Savior. Can you imagine working at the following Organization? 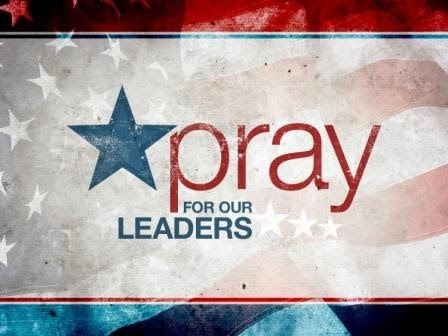 Dear Lord, today we want to pray specifically for the elected officials. We pray that they would turn their hearts and minds to you as they make and in force our laws. In Jesus’ Name, Amen. As we head into the Christmas season there is no better gift then the gift the God has given to each of. There was a certain man who had worked all his life and was ready for a vacation. He wanted to go to a faraway place he had never been before. He thought to himself; you are a good person, you've helped the poor and took care of the needy. So you deserve this trip. He went to the airport and got in line to get on the plane. In his mind, he felt no need to buy a ticket because of all the great things he has done for people in his lifetime. He thought he had earned this trip. As the line got closer and closer to board the plane, he grew more and more anxious to start enjoying himself on his journey. 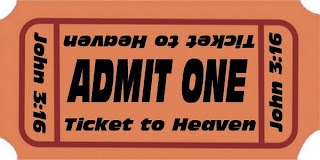 It came his turn to pass his ticket in and to the amazement of the ticket collector; he told her he didn't have a ticket because he deserved a free trip. He went on to explain what a good person he was and how he never hurt anyone or caused anyone any sort of pain, but the ticket collector told him, "you still need a ticket sir"
He told her "I have never stolen from anyone, nor cheated anyone in all my life", but still she stood firm and insisted he could not board the plane unless a ticket was given to her. He said "I have given money to the poor and fed the needy", but still not being moved the ticket collector said if you want to get on this plane you have to have a ticket. No exceptions. The man was shocked. He walked away with his head held down low and thought to himself, "I figured if I was a good person, who never hurt anyone and took care of other people, surely I would be able to get a free ride on the plane, but I guess I was wrong". That is what some people think of Heaven. They think if they are good people, who never hurt anyone and take care of others, they will get a free ride into Heaven. But the bible clearly says, "For it is by grace you have been saved, through faith--and this is not from yourselves, it is the gift of God--not by works, so that no one can boast." Ephesians 2:8,9. Salvation is a free gift through the shed blood of Jesus Christ. No man can buy his way into Heaven, but Jesus came down to Earth in his own free will to give us Eternal Life. All we have to do is trust him by Faith and accept him into your heart as your Personal Lord and Savior. He has bought our ticket on the cross, but it is up to you to claim it. Dear Lord Jesus, I know that I am a sinner and need Your forgiveness. I believe that You died for my sins. I want to turn from my sins. I now invite You to come into my heart and life. I want to trust and follow You as my Lord and Savior. 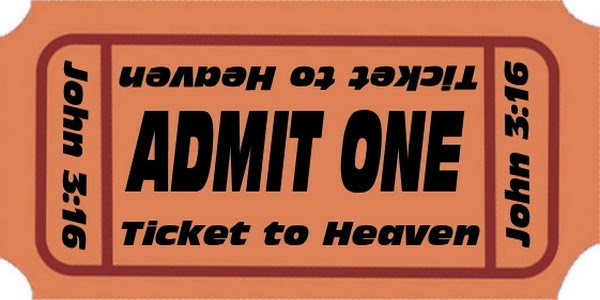 I know now that I have a ticket to get into Heaven. In Jesus' name. Amen. 1. Read your Bible every day to know Christ better. Start with the Gospel of John. 2. Talk to God in prayer every day. Bring all your troubles and worries to the Lord. May the Lord bless you in your new life with Him. Dear Lord, thank You for saving us today. Help us to read our Bible, pray, tell others, worship, fellowship, serve and show others our life in You. In Jesus’ name, Amen. Zig Zigler, well-known motivational speaker tells the story about a thief who was robbed. The incident took place back in 1887 in a small neighborhood grocery store when a middle-aged gentleman, Emanuel Nenger, gave the assistant a $20 note to pay for the turnip greens he was purchasing. When the assistant placed the note in the cash drawer she noticed that some of the ink from the $20 came off on her hands which were wet from wrapping the turnip greens. She'd known Mr. Nenger for years and was shocked. She ponders, "Is this man giving me a counterfeit $20 note?" She dismissed the thought immediately and gave him his change. But $20 was a lot of money in those days so she notified the police who, after procuring a search warrant, went to Emanuel Nenger's home where they found in his attic the tools he was using to reproduce the counterfeit $20 notes. They found an artist's easel, paint brushes, and paints which Nenger was using to meticulously paint the counterfeit money. He was a master artist. The police also found three portraits that Nenger had painted paintings that sold at public auction for a little over $16,000! The irony was that it took him almost as much time to paint a $20 note as it did to paint those portraits which sold for more than $5,000 each. The man that robbed Emanuel Nenger was himself. We do the same whenever we cheat or break the law including God's laws for illegitimate gain. And while most of us wouldn't rob another person of his or her material possessions, it is very easy to rob a person's reputation through idle gossip. We also rob and cheat ourselves when we don't give to God and to others in need. . .whether it is of our time, talents, resources, or love. Dear Lord, we pray that we would have the right attitude when we give what You have given to us. Help us share Your love by what we give and how we give it. In Jesus’ Name, Amen. But I gave them this command: Obey me, and I will be your God and you will be my people. Walk in obedience to all I command you, that it may go well with you. We've all seen them at one time or another. 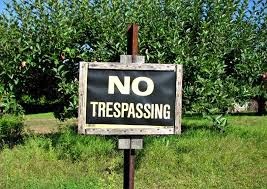 Whether it was attached to a barbed wire fence at the edge of the woods, or posted in someone's yard, or displayed prominently on a warehouse, we've all seen "No trespassing" signs. 2. Someone doesn't want you there. These kinds of signs mean "Leave immediately...and don't come back!" They aren't suggestions or recommendations; they are the expressed will of the owner. Quite simply, you aren't supposed to step one foot onto a place where a "No trespassing" sign is posted. Just stay away. Fortunately for me the cache I was looking for wasn’t beyond the sign. DOUBT - "No Trespassing." FEAR - You aren't supposed to be there. WORRY - Someone doesn't want you there. DISCOURAGEMENT - Don't step one foot onto it. INDIFFERENCE / NEGLECT - Just stay away. SIN - "Leave immediately...and don't come back!" You see, Jesus has many, many places that He simply doesn't want us to go. Things like doubt, fear, worry, discouragement, indifference, sin, complacency, selfishness, and pride - these are areas that are clearly marked, "No Trespassing." Anytime in the Word of God that you read, "Thou shalt not" or "be ye not" or "do not" - these are all ways that the Lord says to us, "No Trespassing." Whether it's attached to a barbed wire fence at the edge of depression, or posted in the yard of gossip, or displayed prominently on a warehouse of greed, the Lord has these warning signs in place for you and I to obey. And they aren't just suggestions or recommendations; they are His expressed will for our lives. Dear Lord, help us heed the No Trespassing sign You have given us today. Give us the strength to leave immediately and to not come back to that area of our life that You are warning us about. In Jesus’ Name, Amen. Years ago we had an interesting fence: it was invisible! 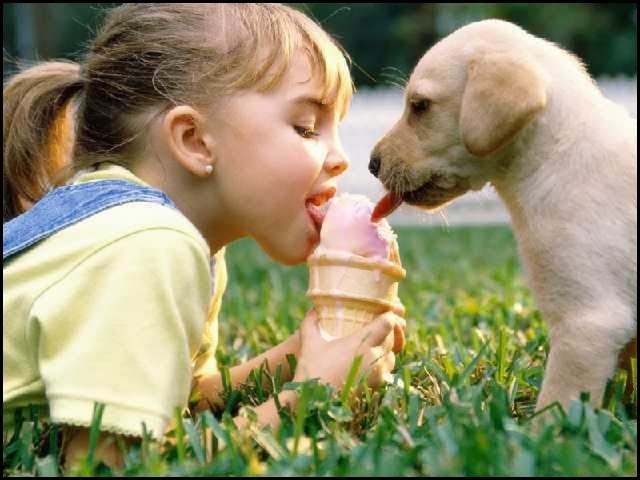 Some thought that it was the best thing invented for dogs. A wire was hidden in the ground, carried a signal transmitted to a small electrical device attached to the collar of your dog. If your dog came near the invisible fence, it would hear a warning beep. If it continued on its trajectory, it would be zapped by a small electrical pulse. But it's true that if the dog stays within the boundaries of his designated kingdom, he remains not only free, but also "zap free"! Utter freedom within the margins! But our dog was always looking to the other side of the invisible fence. To Pongo, our Dalmatian, the grass was greener on the other side and where he was sure he would find freedom. He was sure that's where he belonged. At times we see him turn completely green with envy. Not a pretty picture for a dog! Then one day he started to experiment with his invisible fence and he discovered that if he ran fast enough, the electrical discharge was brief at best, and certainly nothing to worry about. He hadn't realized that the invisible fence was there so that he could be truly free, protecting himr for anything that would potentially steal away that freedom. The freedom proclaimed by the world is not freedom at all. How can we call addictions freedom? It messes us up inside and makes us feel horrible most of the time! The only true freedom is the one Jesus provides, one destined to help us know and enjoy our Lord and Savior, and one where we can discover a passion for others as well! Dear Lord, thank You for the Bible that gives us the true freedom that we want and need. Help us not look on the other side of the fence. In Jesus’ Name, Amen. How Do You See The Law? For what the law was powerless to do because it was weakened by the flesh, God did by sending his own Son in the likeness of sinful flesh to be a sin offering. And so he condemned sin in the flesh. Several years ago, there was a beautiful hotel that was built in Galveston, Texas, which jutted out over the water in the bay. It had these large plate glass windows that allowed you to look out over the Gulf of Mexico. And the balconies on each room made an ideal fishing pier! 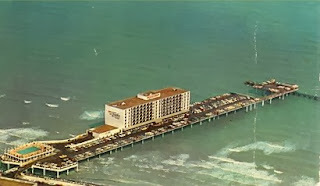 It seems that right after this hotel opened, there was a fisherman who took his rod and reel and tried to cast out into the water. Somehow, though, he managed in his clumsiness to knock out some windows in the room below him. The hotel very quickly put up signs in every room of the hotel that read: "No fishing from balconies." Guess what happened? People had never given much thought to fishing from their balconies, but they suddenly thought that was a great idea! So everyone decided to try it! Even people who could care less about fishing joined in. And they kept knocking out windows. Until finally, one bright administrator came up with the idea of removing the "no fishing" signs. Now guess what happened? People quit fishing! That story demonstrates one of the shortcomings of law. Last week, I shared with you with positive things about law. God's law is holy and just and good (Rom. 7:12). God's law shows us what sin is (Rom. 7:7). The law says, "Do not covet". And the first thing your sinful nature does is say, "Mmm. Covet. Now there's an idea." The command that's meant to bring life, actually stirs up sin. There is something about law that produces a rebellious spirit within us. What happens when you see a sign on a door that says "Wet paint. Do not touch"? You may have passed that door a thousand times over the past ten years and never had the slightest desire to touch it. But now there's a sign saying, "don't touch it" and what do you want to do? There is an almost irresistible urge within you to reach out and touch it. Or tell Johnny to stay away from the cookie jar, and you'll soon hear its lid rattling. God's law is intended to lead us to live godly lives, but it doesn't succeed. God's law tells me what I ought to do. And it tells me what the punishment is if I fail to obey. But keeping the rules doesn't necessarily change what you're like on the inside. And, no matter how good you are, you'll never succeed at keeping all the rules. It's not that there's anything wrong with God's law. Rather, there's something wrong with us. Give thanks for God's law, but give even more thanks for His Son who does what law could never do -- make us right with God! Dear Lord, we pray that we would be right with God. We thank You for the laws that You have given us to guide us as we go. In Jesus’ Name, Amen. 10 For whoever keeps the whole law and yet stumbles at just one point is guilty of breaking all of it. 11 For he who said, “You shall not commit adultery,” also said, “You shall not murder.” If you do not commit adultery but do commit murder, you have become a lawbreaker. 12 Speak and act as those who are going to be judged by the law that gives freedom. At this point, the student produced a copy of the four-hundred-year old laws of Cambridge, written in Latin and still nominally in effect, and pointed to the section which read (roughly translated): "Gentlemen sitting examinations may request and require Cakes and Ale." Pepsi and hamburgers were judged the modern equivalent, and the student sat there, writing his examination and happily slurping away. When we study the law, we sometimes are careful to find those things which may benefit us, while trying to ignore the rest. It happens with the Bible all the time. Ever know anybody who only quoted the Bible when it was convenient for them ("Judge not that ye be not judged")? They want to get their "cakes and ale" but ignore the part about "wearing a sword"? God's Word isn't like a cafeteria. We don't get to go through and pick out which parts we want and which parts we don't like. Dear Lord, help us to read and take the Bible as a whole and not just the parts that we think will meet our needs. In Jesus’ Name, Amen. I read about a couple who works in the pharmaceutical industry. He is a sales representative and she is a pharmacist. When asked what they do for a living, he is quick to reply, "She makes drugs and I sell `em." 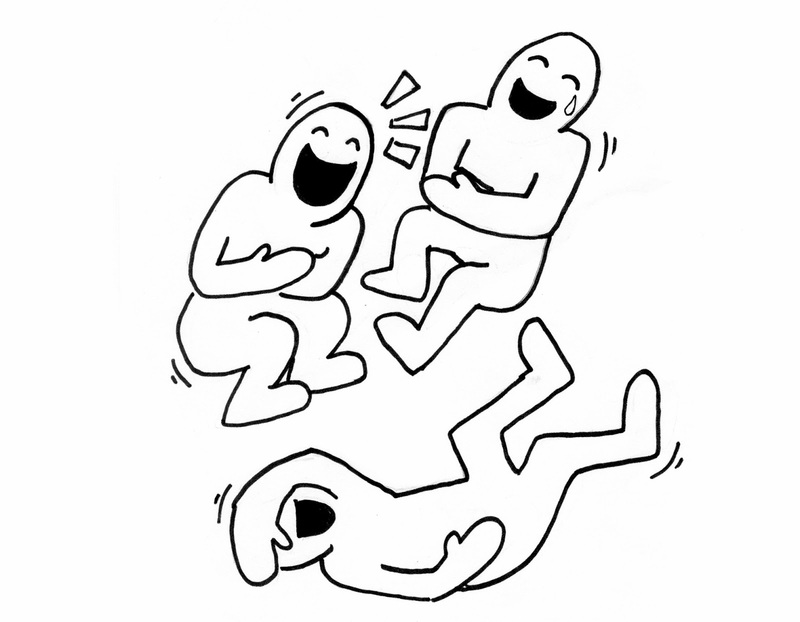 I believe it was Lord Byron who said, "Always laugh when you can. It is cheap medicine." And researchers are finding that to be true – quite literally. A woman diagnosed with Rheumatoid Arthritis wrote to me and talked about how painful the disease had become. Debra said that no drugs would touch the devastating pain. "At times I prayed to die because I did not think I could go on this way," she said. But in two and a half years she weaned herself from most of her medication, which had reached a high of 21 pills a day. This is how she did it. "I began seeing a doctor who gave me the most important prescription that I ever could have received," she said. "He excused himself from the room. I watched him walking back and forth in the hall; he seemed to be in deep thought." The doctor came back in with this prescription: he told Debra to get some funny movies and to begin laughing. If she didn't feel like laughing, then she should smile. If she didn't feel like smiling, she should smile anyway. He said that it would increase endorphins in her brain and help with her pain. In other words, fake it until you make it, like they say. She did just as he suggested. She laughed when she could. She smiled when she couldn't laugh. She smiled whether she felt like it or not. Her children teased her about her fake smile, but she told them that it was going to get rid of her pain. And here's the amazing thing: it did. Of course, not all of it, but a great deal of her pain eventually dissipated and in time, what was left became manageable – without all of the drugs. Today, Debra laughs easily and is never seen without her smile. She says that she would not even feel normal without it. It's true that laughter really is cheap medicine. It's a prescription anyone can afford. And best of all, you can fill it right now. Dear Lord, we pray that we would be able to smile and laugh at things that happen in our life. Help us to share that joy with those around us. In Jesus’ Name, Amen. "She who laughs, lasts." At least that was Theresa of Avila's philosophy. Theresa, a Spanish nun who founded the reformed order of the Carmelites in 1562 used to look for novices who knew how to laugh, eat and sleep. She believed that if they ate heartily they were healthy, if they slept well they were more than likely free of serious sin, and if they laughed, they had the necessary disposition to survive a difficult life. "Finally the president turned to us and said, 'Gentlemen, did you ever read anything of Artimus Ward? 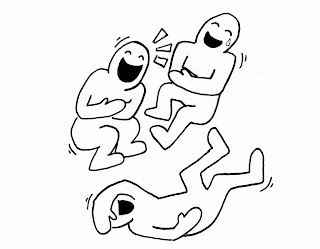 Let me read a chapter that is very funny.'" The president then read aloud a skit called "Highhanded Outrage at Utica." Stanton was furious, but Lincoln read on and, at the end, he laughed heartily. "Gentlemen," he asked, "why do you not laugh? With the fearful strain that is upon me day and night, if I did not laugh, I should die. And you need this medicine as much as I do." It was at this same session that the president pulled a paper from his tall hat and read aloud the now immortalized Emancipation Proclamation. He's right -- we may likely die without frequent and sustained doses of laughter. After all, they who laugh, last. Dear Lord, help us to see the good things in life and face them with laughter. In Jesus’ name, Amen. Did you follow the 1987 football season when the Denver Broncos played the Cleveland Browns for the AFC title? Less than two minutes remained in the game and Cleveland was ahead by a touchdown. The Broncos had just fumbled the ball out of bounds on their own 1/2 yard line. Hostile Cleveland fans were already throwing dog biscuits onto the field and celebrating a sure Cleveland win. While the announcer was discussing who Cleveland would play in the Super Bowl and Denver fans were nursing bruised egos, the Broncos huddled in their own end zone. Quarterback John Elway was known for miraculous wins, but this situation was almost impossible. All-pro left tackle Keith Bishop looked around the huddle at his team-mates, took a deep breath and said, "Hey, now we got them right where we want them!" Tense silence was broken by laughter. One player laughed so hard he fell down! Somehow the joke lent perspective to an absurd situation and a sense of calm confidence replaced anxiety. What followed has been dubbed the annals of football lore as The Drive. In less than two minutes, John Elway and the Broncos drove the length of the field and tied the game with just seconds left. 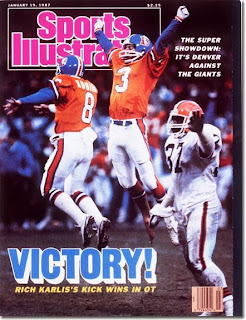 They won in overtime and went on to the 1988 Super Bowl (which, judged by the Broncos poor showing, was itself a kind of joke...). An amazing shift occurred in the huddle that day. Laughter prepared them to bring their best to a demanding situation as nervous, negative energy was swept away in the absurdity of the moment. 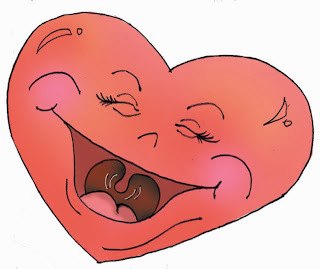 Laughter has a way of creating positive change in any tense and stressful circumstance. But, as Mark Twain said, laughter is the greatest weapon that we humans possess and it's the one we use the least. Daily, we have countless opportunities to use the power of laughter to make a positive difference. Dear Lord, we pray that we would have a spirit of joy. Help us face the things of life with positive attitude. In Jesus’ Name, Amen. Are You Listening to the Words? So what shall I do? I will pray with my spirit, but I will also pray with my understanding; I will sing with my spirit, but I will also sing with my understanding. There was a woman who spent some months serving as a missionary in South Africa. On her final visit to a remote township she attended a medical clinic. As the Zulu women there began to sing together, she found herself deeply moved by their hauntingly beautiful harmonies. She wanted to always remember this moment and try to share it with friends when she arrived home. With tears flowing down her cheeks, she turned to her friend and asked, "Can you please tell me the translation of the words to this song?" Her friend looked at her and solemnly replied . . . "If you boil the water, you won't get dysentery." How many times have we been guilty of the same thing in a worship service? No, not of singing that particular song, but of singing (and perhaps even being moved emotionally) without being aware of the meaning of the words we were singing. The melody may be beautiful, but it is the lyrics which give our songs meaning. Pay careful attention to what is being said. 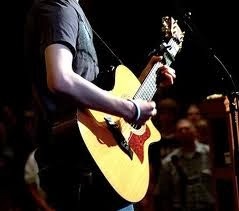 Dear Lord as we worship tomorrow help us pay attention to the words that we sing. Help us truly worship You. In Jesus’ Name, Amen. Did you hear about the man who attempted sky-diving for the first time? His parachute didn't open. Then his auxiliary chute failed. Now he found himself in free fall with no more options. Then a strange thing happened. He spotted something coming up TOWARDS him from the ground at a high rate of speed. It was a man! When he was sure they would pass one another without a collision, he shouted down to the figure, "Do you know anything about parachutes?" "No!" the man called back. "Do you know anything about gas stoves?" A little bit of technological knowledge could have been helpful in both cases. But it has never just been about how much we KNOW. 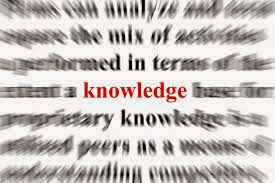 I read that the world's body of knowledge doubled from 1900 to 1950. In other words, knowledge that took thousands of years to accumulate doubled in only fifty years. 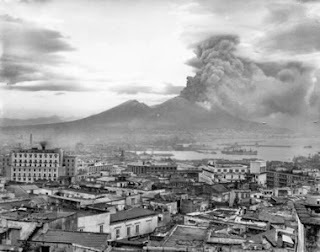 It then doubled again between 1950 and 1965. In just fifteen years. It is estimated that the world's body of knowledge doubled once more between 1965 and 1970, and now doubles every five years. Amazing! We can never keep up with all there is to learn. But perhaps more important than how much any of us KNOWS is how consistently we ACT on whatever knowledge we have. We certainly need enough knowledge to live fruitful and constructive lives, but even knowledge will not serve well if we neglect to use it. You may know that material things don't bring lasting happiness. Will you actively pursue things of the heart and spirit? You may know peace comes when you forgive. Will you decide to put down that grudge and leave it behind? You may know that any decision made from fear alone is likely to be wrong. Will you choose the path of courage, even if that path seems hard to navigate? Most of us know important principles about effective living. But in the end, what we know to be true is of no consequence -- the decisions we make are everything. When we have to make decisions, why not go to the One that who knows everything. Ask Him to give the wisdom and lead and guide you. Dear Lord, we thank You for the wisdom we have. Help us never to rely upon our self but instead go to You to get the answers to life’s problems. In Jesus’ Name, Amen. Is Your Zeal Based on the Knowledge of God? Once, while visiting a province he came upon an old soldier in full uniform but with one sleeve hanging empty. He proudly wore the coveted Legion of Honour. Napoleon asked, "Where did you lose your arm?" The soldier answered, "At Austerlitz, sire." Napoleon asked, "And for that you received the Legion of Honor?" The man said, "Yes, sire. It is but a small token to pay for the decoration." 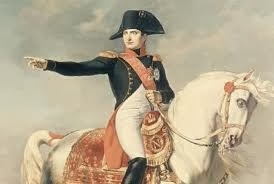 Napoleon continued, "You must be the kind of man who regrets he did not lose both arms for his country." The one-armed man asked, "What then would have been my reward?" Napoleon answered, "I would have awarded you a double Legion of Honor." What a great story of patriotic duty! It apparently was quite effective in stirring up in Napoleon's men a desire to sacrifice even more for the cause of France! Napoleon the question, "How did the soldier cut off his arm with only one arm to do it with?" Zeal is good. We all need more of it. But we need to make certain that our enthusiasm is firmly based on our knowledge of God's will. Dear Lord, we pray that are Zeal would be based on the knowledge that You give us through Your word. Help our enthusiasm not be on emotion alone. In Jesus’ Name, Amen. Doing Everything For His Glory. But one night, just before the actor was to offer his customary recital of Psalm 23, a young man from the audience spoke up. "Sir doyou mind if tonight I recite Psalm 23?" The actor was quite taken back by this unusual request, but he allowed the young man to come forward and stand front and center on the stage to recite the psalm, knowing that the ability of this unskilled youth would be no match for his own talent. 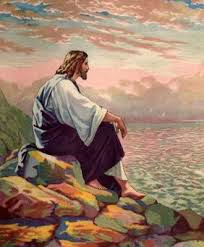 With a soft voice, the young man began to recite the words of the psalm. When he was finished, there was no applause. There was no standing ovation as on other nights. All that could be heard was the sound of weeping. The audience had been so moved by the young man's recitation that every eye was full of tears. Amazed by what he had heard, the actor said to the youth, "I don't understand. I have been performing Psalm 23 for years. I have a lifetime of experience and training -- but I have never been able to move an audience as you have tonight. Tell me, what is your secret?" The young man humbly replied, "Well sir, you know the psalm...but I know the Shepherd." It's not enough to just know the content of the Bible -- its stories, its sayings, and its teachings. 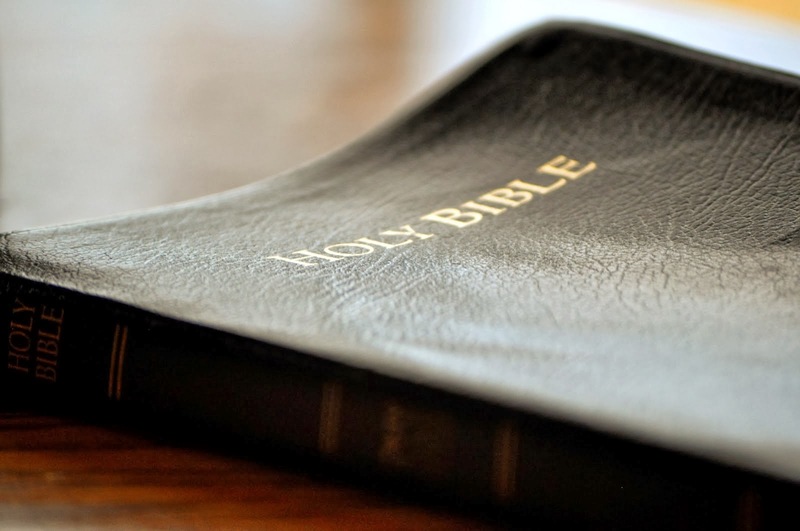 Unless you know the author, the Bible is nothing more than just another book. But when you put your faith in Jesus Christ and have entered into a personal relationship with God the Father, the Bible truly becomes "living and active -- sharper than any double-edged sword." (Hebrews 4:12). Dear Lord, help us not just know the content of the Bible but help it be living and active in us so that those who see us we see You. In Jesus’ Name, Amen. We Can't Understand Everything About God. What a Beautiful Life We Can Have!